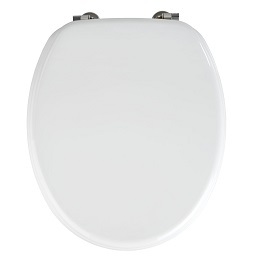 Create a sleek, simple look in the bathroom and make the space feel brighter, cleaner and more spacious with the Wenko 154008100 Valencia White Toilet Seat. This elegant bathroom accessory is the perfect way to complete the decor of your bathroom, and its all-white colour allows it to look at home with virtually any palette that you might choose for your decor. The seat is highly polished, giving it a subtle lustre that greatly adds to its appeal, and its smooth surface gives the bathroom a refined look without introducing patterns or additional colours to the decor. The matte finish on the chrome-plated fixings keeps the look minimalistic and refined to perfectly complete the design. 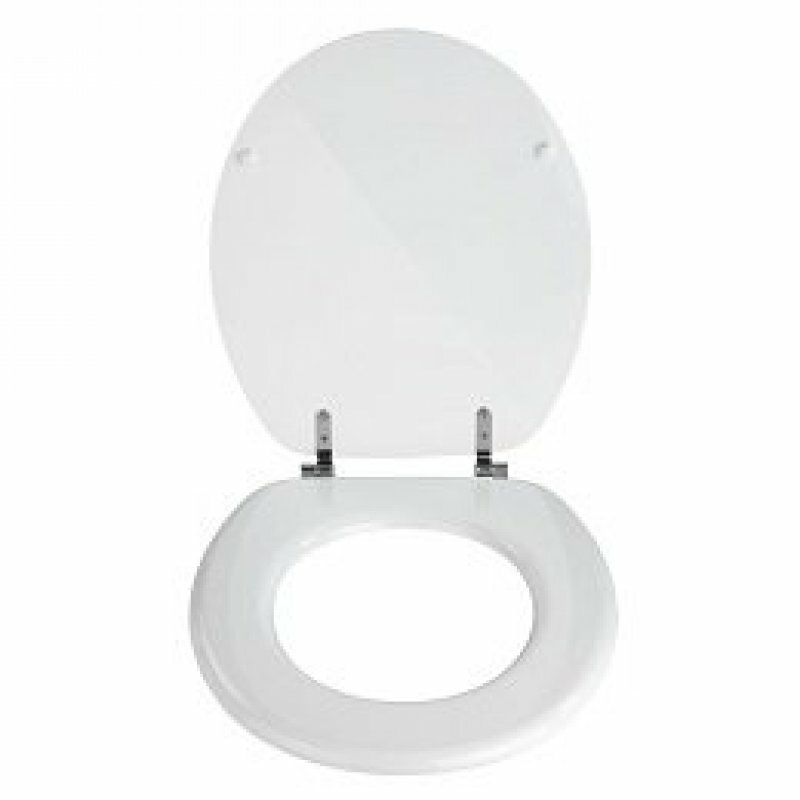 When you choose the Wenko 154008100 Valencia White Toilet Seat for your bathroom, you'll get the benefit of heavy-duty MDF construction that will truly stand the test of time. To improve the hygienic properties of the toilet seat, the piece is finished with numerous layers of an AZO-free clear coating. This fully covers the pores in the MDF and prevents microbes from growing on the surface of the toilet seat. 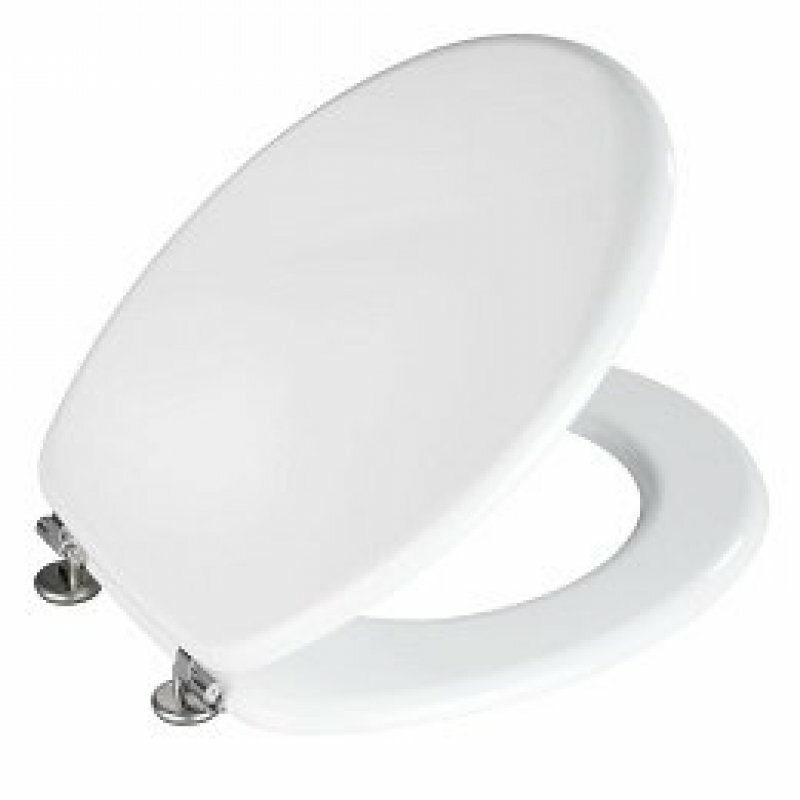 You can use the moisture-resistant seat on nearly all standard bowls with its easy-to-adjust hinge design.